We all have dreams of someday meeting our heroes. 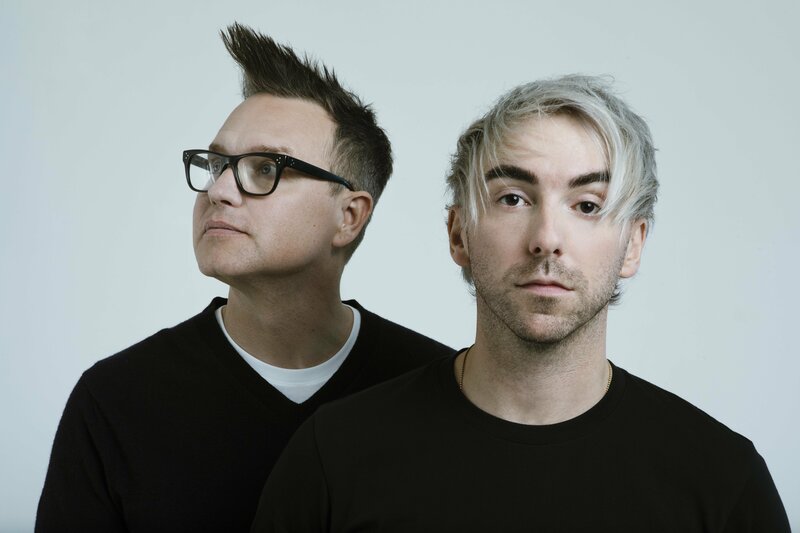 Well Alex Gaskarth, front man for pop-punk icons All Time Low, has taken his dreams one step further and has been working with Mark Hoppus (Blink-182) on a new project ‘Simple Creatures‘. The pair surprised fans on the 25th of January with the new project by dropping their first song, ‘Drug.’ If you haven’t heard the tune do yourself a favour and watch the lyric video below! And prepare for their debut EP which will be released in March 2019. Simple Creatures is Mark Hoppus (Blink-182) and Alex Gaskarth (All Time Low). Hoppus and Gaskarth are long-time friends who both found some down time whilst Blink-182 and All Time Low were between albums. They came together to work on something a little different and thus Simple Creatures was born. “‘Drug’ is always the first song we play people when introducing them to Simple Creatures, so it only makes sense that its the first single. I love the ratty guitar lead mixed with the thumping kick drum. Lyrically, the song is about being destroyer by the things you love.” Hoppus commented.